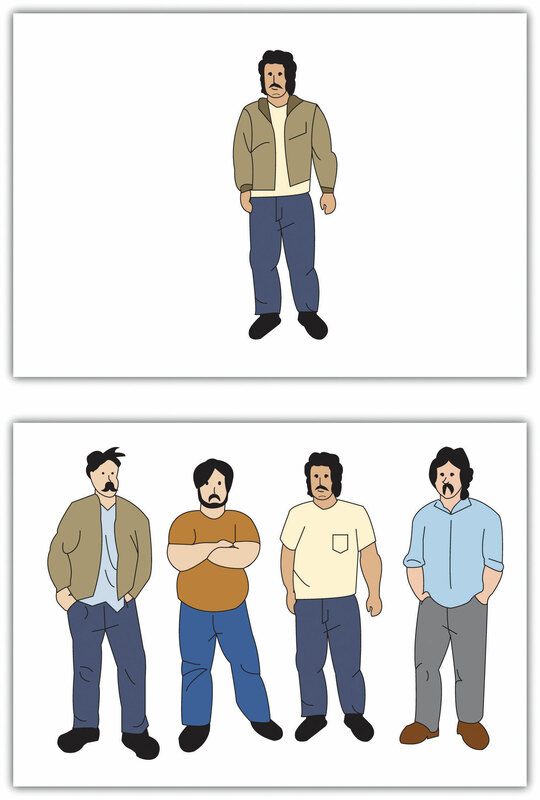 As you can see in Figure 6.1.1, the participants who had been mimicked liked the other person more and indicated that they thought the interaction had gone more smoothly, in comparison with the participants who had not been imitated. Sherif also found that when individuals who initially had made very different estimates were then placed in groups along with one or two other individuals, and in which all the group members gave their responses on each trial aloud (each time in a different random order), the initial differences in judgments among the participants began to disappear, such that the group members eventually made very similar judgments. You can see that this pattern of change, which is shown in Figure 6.1.2, “Outcomes of Sherif’s Study,” illustrates the fundamental principle of social influence—over time, people come more and more to share their beliefs with each other. Sherif’s study is thus a powerful example of the development of group norms. 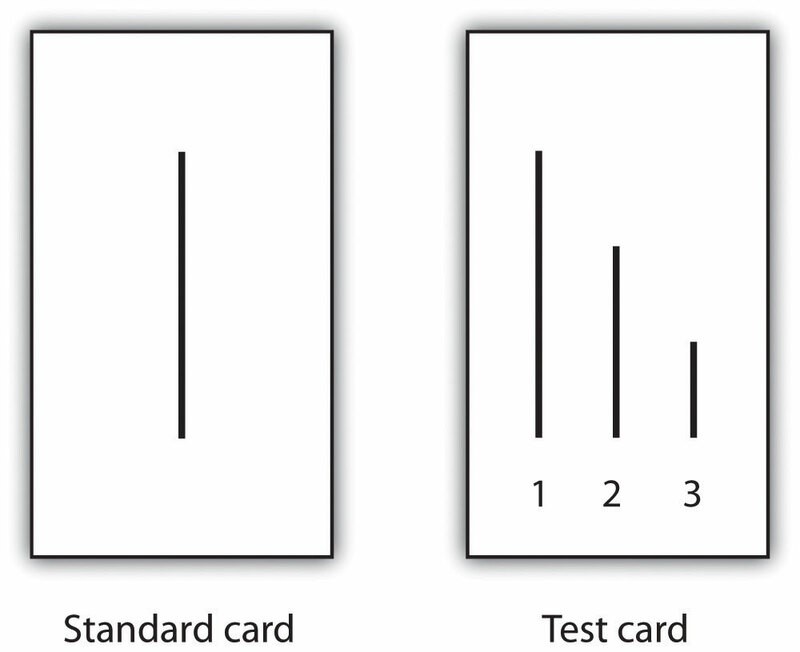 Figure 6.1.3 Standard Card and Test Card. The minority of two was able to change the beliefs of the majority of four, but only when they were unanimous in their judgments. As shown in Figure 6.1.4, “The Power of Consistent Minorities,” Moscovici found that the presence of a minority who gave consistently unusual responses influenced the judgments made by the experimental participants. When the minority was consistent, 32% of the majority group participants said green at least once and 18% of the responses of the majority group were green. However, the inconsistent minority had virtually no influence on the judgments of the majority. Although increasing the size of the majority does increase conformity, this is only true up to a point. The increase in the amount of conformity that is produced by adding new members to the majority group (known as the social impact of each group member) is greater for initial majority members than it is for later members (Latané, 1981). This pattern is shown in Figure 6.1.5, “Social Impact,” which presents data from a well-known experiment by Stanley Milgram and his colleagues (Milgram, Bickman, & Berkowitz, 1969) that studied how people are influenced by the behavior of others on the streets of New York City. As you can see in Figure 6.1.5, “Social Impact,” larger groups of confederates increased the number of people who also stopped and looked up, but the influence of each additional confederate was generally weaker as size increased. Groups of three confederates produced more conformity than did a single person, and groups of five produced more conformity than groups of three. But after the group reached about six people, it didn’t really matter very much. Just as turning on the first light in an initially dark room makes more difference in the brightness of the room than turning on the second, third, and fourth lights does, adding more people to the majority tends to produce diminishing returns—less additional effect on conformity.